IntelNews began in 1988, in the good old days of bulletin board systems (BBS). Its purpose was to facilitate mostly English-language discussion on issues of intelligence among professionals, academic researchers and aficionados. In 1998, it was renamed The Club, and operated under its own, privately accessible Internet domain. The events of September 11, 2001, reinvigorated the public’s interest in the field of espionage and intelligence. Thus, in late 2006, the decision was made to rename the network intelNews and turn it into a public-access website, operated by its two moderators, Dr Joseph Fitsanakis and Ian Allen. 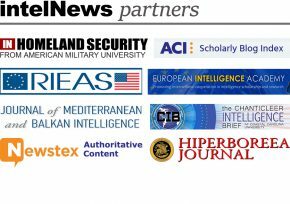 Despite its periodic reincarnations, the mission of intelNews has remained unchanged since its BBS days: namely to highlight and discuss in a timely, responsible and reflective manner the role of intelligence operations in national and international affairs. In doing so, intelNews aims to encourage public discussion on a critical aspect of security and to provide the world’s media with informed and responsible commentary on related subjects. Your work and efforts inspire us. frequent visitor to the website. Alas, does not fit in with current product. Greenwald’s Intercept has several extremely hostile pieces on Soviet/Syrian version of recent gas attack. Note,especially, comparison to Fascist account of Guerenica.